Dec 14 – St John of the Cross, “The Darkness of Unknowing” | ADULT CATECHESIS & CHRISTIAN RELIGIOUS LITERACY IN THE ROMAN CATHOLIC TRADITION: hosting ONLY True Christians!! !, or "How to think Catholic!!" We know a lot about God, both through the natural faculty of reason that God gifts to humanity, and through Divine Revelation. However there is a vast difference between knowing about God, and knowing God. The content of theology allows us to know more about God, but all of this knowledge is pointless unless it leads us into deeper intimate communion with the One Who Himself is knowledge. Let it be recalled that according to a philosophical axiom all means must be proportionate to their end. That is, they must manifest a certain accord with and likeness to the end so that through them the desired end may be attained. For example: those who want to reach a city must necessarily take the road, the means, that leads to the city (Ascent of Mount Carmel, Bk 2, #2). It is noteworthy that among all creatures both superior and inferior, none bears a likeness to God’s being or unites proximately with Him […] Consequently, intellectual comprehension of God through heavenly or earthly creatures is impossible; there is no proportion of likeness (Ascent, Bk 2, #3). In order to draw nearer the divine ray the intellect must advance by unknowing rather than by the desire to know, and by blinding itself and remaining in darkness rather than by opening its eyes (Ascent, Bk 2, #5). With Saint Teresa of Avila, St. John of the Cross was called to the exceedingly difficult task to reform a decadent, declining and worldly state of affairs in the Religious life—specifically the Carmelite Order. Neither the men nor the women took a liking to someone rocking their comfortable boat of complacency! God chose these two saints to disrupt their comfortable status quo! 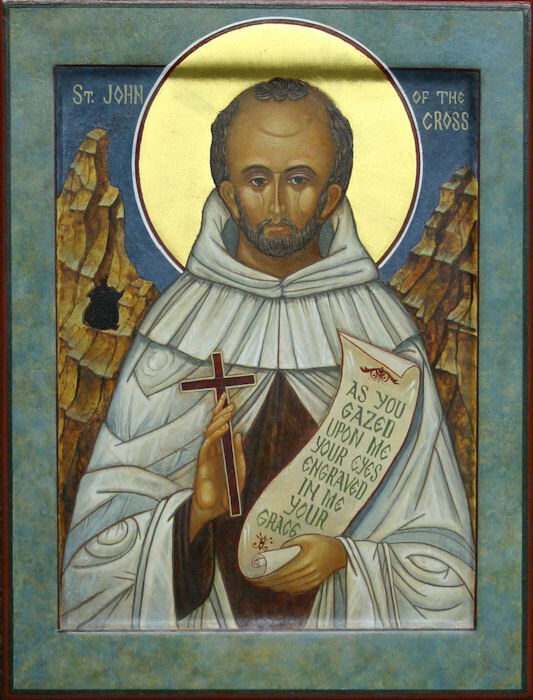 The anger which led to fury leveled against Saint John of the Cross was so intense that violent persecutions descended upon the saint like an unending tempest! 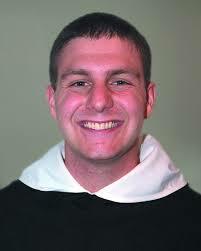 John was kidnapped, locked in a small cell in a Carmelite convent. He was scourged, deprived of saying Holy Mass, barely given enough food to eat so as to survive, nor even a bath to take for hygiene purposes. Through Our Lady’s intercession St John escaped. After all of this unjust abuse both verbal, physical, mental and spiritual, the great mystical doctor of the Church Saint John of the Cross, never uttered an unkind word against any of those who plotted and carried out against his person such unjust and uncharitable actions! At the end of his life he was asked where he would like to end his days— in a convent where he would be loved and appreciated to end his days or in the convent of a Superior that detested him. St John of the Cross preferred the latter so as to conform his life more and more to the passion, suffering and humiliations of his Lord and Master Jesus Christ. In conclusion Principle and Foundation teaches us who God is, where we come from, where we are heading and how to get there. An essential component of Principle and Foundation is “Ignatian Holy Indifference”. A key means to attaining Holy Indifference is a constant and dynamic prayer life, which leads to a total confidence in God, which is translated and manifested in a total willingness to give one’s whole self to God as a sacrifice, offering and oblation.